Struggling to fit in and forging our own path, we glow brighter from the inside out. A Filipino teenager, mired in the conventionality of an immigrant upbringing, is curious about the world that she is not a part of. Born in the Philippines, Gerald Fantone’s professional training started at York University where he earned a BFA in Film Production. His films have shown around the world. Living as a half-Asian in Los Angeles, Katie gets into a feud with her “family” on the set of a TV commercial. Jessica Sanders is an Oscar-nominated, Sundance and Cannes award-winning filmmaker of scripted, documentary features, short films and commercials. A transgender outcast is ostracized by their traditional community upon discovering their true identity. 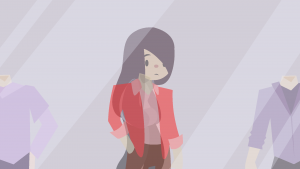 Anna Ngo attended Emily Carr University of Art + Design to master traditional animation. Through her work, she strives for artistic merit and social-political awareness. Itsuki, a 40 year-old sous-chef, works in his father’s high-end sushi restaurant Hashimoto. Although he has been working under his father for the past 20 years, the two still hold very different ideologies regarding food and life. Originally from China, Lavi Shiyun Hu is a Film Studies graduate of Ohio State University, working on productions in both China and the USA. Mixing quotes from French composer Erik Satie’s essays with the music, Parade, this short film is a playful and offbeat animated re-creation of ballet images. Koji Yamamura, born in 1964 in Japan, is an independent animator and published illustrator. His films have won numerous awards and have been nominated for both an Oscar and a Genie. Reel Asian presented a master class and retrospective of Yamamura’s work in 2010. Durian was born with his facial expressions opposite to everyone else. The film follows his growth into a young adult, by displaying milestones in both his real life and his imaginary world. 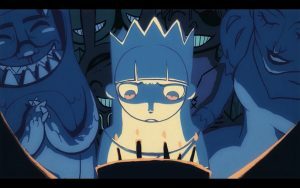 Yangzi She studied animation at UCLA Animation Workshop and now works as a storyboard artist in Beijing. 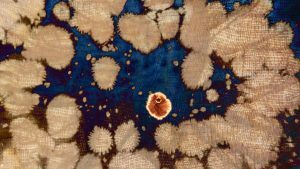 A tie-dye fabric animation that narrates the beginning of life through a microscopic perspective. Taiwanese independent filmmaker, Ying-Fang Shen’s experimental works are heavily influenced by the handmade aesthetics of traditional East Asian art and Taoist philosophy. Hong Kong is home to more than 190,000 Filipino domestic helpers. 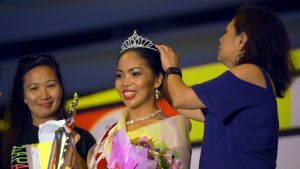 A beauty contest is held each June to celebrate Philippine Independence Day, where some domestic helpers participate as contestants. After graduating from St. Thomas University, Baby Ruth Villarama worked as a producer for the Filipino TV station ABS-CBN, National Geographic and CNN Philippines.